You think that quantum computing is the ultimate computer speedup? No, as long as theorists are living in an untested fantasy world, it is just the beginning. Removing causality is more than just an interesting conceptual shift; it may also have benefits for those attempting to build super fast computers that exploit quantum laws to outperform today’s machines. While our personal computers store information as bits that can either be 1 or 0, quantum computers — which were first proposed in the 1980s — use quantum bits, or qubits, that can represent a 1, 0, or any superposition of these states. The ability of qubits to hold multiple states at once would allow quantum computers, in theory, to solve problems more quickly than classical ones. Here’s where causality (or a lack of it) comes in: Calculations in a quantum computer follow a fixed sequence of quantum logic gates, at the end of which one number drops out. But quantum information without causal order could, in theory, allow for an even bigger speed-up because it would no longer be necessary for the calculations to follow a sequential route. The effect would be amplified, explains Brukner, when the question is scaled up from just two ports of call — Alice and Bob in Brukner’s research — to numerous others. Without causality, how do you ever know when the computation has started, and when it finished? If you drop causality, then you can do time travel, and get another speedup. Instead of doing a computation iteratively a million times, you could just go back in time a million times, and get a huge speedup. Then there are paranormal and psychic influences. If mental energy can direct the computer towards a solution, you could get another speedup. Of course there is not a shred of evidence for causality violations, or for time travel. And there is no proof that a quantum computer can get a speedup from qubits holding multiple states at once. There is plenty of evidence for quantum mechanics, and there are interpretations of it that suggest all sorts of weird things. I say to reject those interpretations. Speaking of interpretations, Lumo seems to accept collapse of the wave function, but denies that it is unitarity violation. This seem peculiar, because collapses are given by a Hilbert space projection, and projections are not unitary. He wants to hang onto unitarity, because that is associated to probabilities adding up to one. Probabilities adding to one seems like a mathematical necessity, and hence a physical law, in the view of some. I am not sure of his argument, but I do agree that abstract considerations of mathematical probability do not forbid collapse of the wave function. If I toss a coin, and keep the result covered, then there is probability of 0.5 that it is heads, and 0.5 that it is tails. If I then show the coin to be heads, then the possibility of tails disappears. But no one would argue that discarding that probability of tails violates the law that probabilities add up to one. 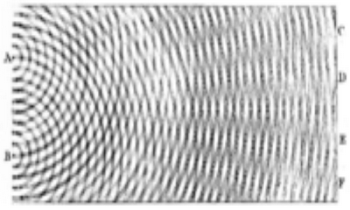 Likewise, collapse of the wave function discards some possibilities. The people who promote the many-worlds interpretation (such as Sean M. Carroll) would say that unitarity requires that all those possibilities stay alive in some parallel universe. So if I toss a coin and see heads, I will have split into two men with the other seeing tails. There isn't really any physics behind many-worlds. There is just a mathematical belief that probabilities cannot be eliminated, so they must be shoved into a parallel universe. Unitarity is just a fancy way of saying that. Life imitates fiction sometimes. This entire ridiculous endeavor to build magic computers resembles the absurdist humor of Douglas Adams who wrote about the ancient advanced civilization that constructed the 'Deep Thought' computer to answer the meaning of life. We should just cut to the chase and declare it '42' and save ourselves billions of years in wasted processing time. Even if you could tell when a computation was finished, which would be an interesting paradox at best since there is no before and after in this quantum la la land they are chasing after, how would a computer index it? Think about it. All memory (if you are going to use a computer) has an address location, it's what determines where something is stored, and given the number of bits of your operating system architecture, how much can be stored in a particular system. Since A. memory is ALWAYS finite, and B. if you wish to find whatever you put into memory, some kind of indexing of memory must take place. This indexing is obviously a process that takes some time, so let's pretend the length of time to do the calculation has been magically eradicated, the length of time to store and index said calculation is assuredly non zero, and the number of places available to store said possible answers can never be infinite. Computers are not magic, they all are all mindless logically ordered bean counters of one kind or another. Long story short, lets say your answer is a particular grain of sand on an infinitely large beach, all the grains of sand already exist (for the sake of argument)Which one and where? How could this grain of sand be located? 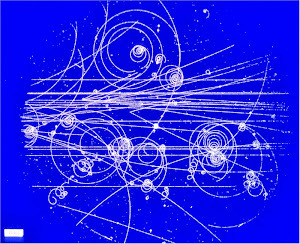 The entire of idea of quantum computing is like an unbound 'silly-string landscape' problem. I find it disturbing that mathematicians playing with these ideas don't even understand what actual computation is or what is required to perform it. You can't treat computation like a priori to physical reality that floats about like a bad Platonist fantasy of original forms. All math (like any abstract process) must be performed on something that provides a logical structure of operation and means of storage and retrieval over a period of time, it can not exist independently of an underlying system that evaluates it (a brain, a computer, a whatever handles the actual calculation). I had a post on this precisely. They inject Eastern mysticism into clear theories, so they can pretend to have something to work on. "We don't demand solid facts! What we demand is a total absence of solid facts.... We are quite definitely here as representatives of the Amalgamated Union of Philosophers, Sages, Luminaries and Other Thinking Persons, and we want this machine off, and we want it off now!"